working Security Assistance for foreign countries. He has recently returned to college studying for a history degree. He has had articles published in "The Alamo Journal," and in "The Journal of the Alamo Society." The two articles in "The Alamo Journal" will be included in a "best of" compilation due out in March 2002. He's also had book reviews published in "True West," "Muzzleloader," and "The Alamo Journal" and is on the book review staff of "The Civil War News." Robert L. Durham has an article currently available in the February issue of "Wild West" titled "Flashing Sabers at Solomon's Fork." The Missouri governor, Democrat Claiborne Fox Jackson, and most of the other Democratic legislators threw their complete support to the seceded states. 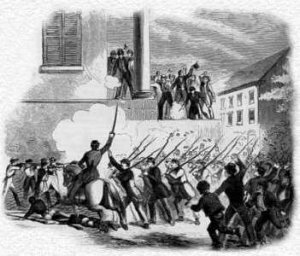 In a State Convention, they declared that any effort to try to coerce these states back into the Union would cause Missouri to rally to the side of those states, in resistance to the Northern invaders. 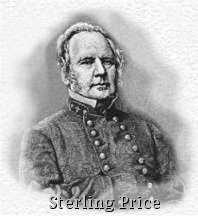 However, an effort to force a vote for Missouri's secession met with failure because it failed to win support from conservatives, among them the future Confederate general, Sterling Price. 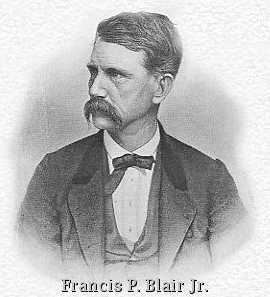 Francis P. Blair, Jr., leader of Missouri's Republicans, formed the St. Louis Unionists into militia units, called Home Guards or Wide Awakes. The majority of the members of these units were Germans, and a great many had European military training. In response, the secessionists formed their own militia units, calling themselves Minute Men. Two of the southern leaders were Kentuckian Basil W. Duke and South Carolinian Colton Greene. Another leader of the Minute Men was J. Rock Champion. Described as "a big-hearted, big-bodied Irishman", the six feet two inch giant was a natural leader of men. 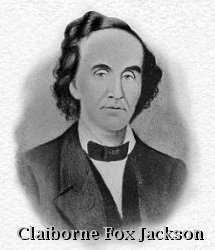 On 13 February, he was elected Lieutenant of Company F, the Jackson Grays. Rock Champion, a knight errant at heart, could hardly resist the plea of this fair Southern maiden. Soon, Colonel McCullough's 2nd Missouri and the offending colonel's "regiments faced each other in a hot and furious engagement, during which Cpt Champion, in a hand to hand conflict, killed the Federal Colonel, whose command immediately retreated. The young lady was properly informed of the fate of her enemy and the name of her avenger; she promptly returned a note expressive of her obligation, and declared her readiness to fulfill the pledge she had given. After a brief correspondence, the Captain waited upon the youthful beauty, and was as much struck by her charms, grace and fascination, as he had been by the romantic incidents of her history." As in every good romance, they were soon betrothed. Edwin C. Bearss believes this story is apocryphal, since there is no record of any senior Federal officers being killed during this time period. This is a good story nonetheless, illustrating how his compatriots were weaving Rock Champion’s daring adventures into a legendary tapestry. In August, Armstrong led the Missourians and the rest of his brigade on another expedition. Their mission was to “threaten Bolivar [Tennessee], and, if possible, take Jackson and destroy the Mobile and Ohio Railroad.”  The brigade left Baldwyn, Mississippi on 22 August with 1600 men, and were reinforced by 1100 more troopers under Colonel William H. "Red" Jackson when they reached Holly Springs. Armstrong pushed on across the Tennessee line on 27 August, moving through Grand Junction and Van Buren, Tennessee toward Bolivar. The Confederates were driven back in this charge but rallied and finally emerged victorious, forcing the Union soldiers back into the defenses of Bolivar. 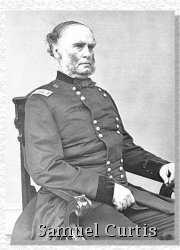 The Official Report of General Sterling Price, commanding the Army of the West, said that Van Dorn's troopers "drove them back with heavy loss, killing and wounding a large number and capturing 73 prisoners." Armstrong bypassed Bolivar, going on to cross the Hatchie River, take "possession of the railroad for more than thirty hours, during which time he destroyed all the bridges and a mile of trestle work. Returning, he encountered the enemy in force near Denmark, attacked and routed them, killing and wounding about 75 of them, capturing 213 prisoners, and taking two pieces of artillery, after which he returned to Baldwyn." Captain Rock Champion was not among those who returned to Baldwyn. Price's report concludes, "The entire loss upon the expedition was, in killed, wounded, and missing, 115, among whom I regret to mention Captain J. 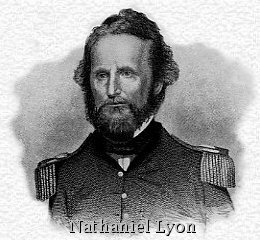 Rock Champion, whose reckless daring and intrepid boldness have illustrated the battle-fields of Missouri, Arkansas, and Alabama, as well as that of Bolivar, in which he fell far in advance of his command." C. Y. Ford, who served with him in the 2nd Missouri, described him as “a most distinguished looking soldier, so much so as any soldier I saw in my four years service.”  Rock Champion died as a true son of Missouri, and a knight of the South.